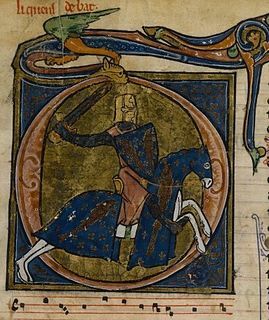 Edward I (died November 1336), was the Count of Bar from 1302 to his death. He was a minor when he succeeded his father, Henry III, as count and ruled under the regency of his grandfather, as his mother Eleanor was dead since 1298. Henry III of Bar was Count of Bar from 1291 to 1302. He was the son of Theobald II, Count of Bar and Jeanne de Toucy. Eleanor of England was an English princess, the eldest surviving daughter of King Edward I of England and his first wife, Queen Eleanor of Castile. The county was governed on Edward's behalf by John of Puisaye, Theobald, Bishop of Liège, and Renaud, Bishop of Metz. In 1308, he accompanied Frederick IV of Lorraine into battle. In 1310, he married Mary, daughter of Robert II, Duke of Burgundy,  and was declared to have attained his majority. Then he purchased the lordship of Stenay from his uncle John, the aforementioned lord of Puisaye. In 1313, he was captured in war against Frederick and not ransomed until 1314. He constructed a hydraulic forge at Moyeuvre-Grande in 1323. In 1324, he was again allied in military operations with the duke of Lorraine, and also with the King of Bohemia, John, and the Archbishop of Trier, Baldwin of Luxembourg. This operations was the War of Metz, for each of the allied lords was owed something by the citizens of Metz. Edward demanded compensation for garrisoning the city with his own troops during a conflict with the bishop of Verdun. Stenay is a commune in the Meuse department in Grand Est in north-eastern France. Moyeuvre-Grande is a commune in the Moselle department in Grand Est in north-eastern France. Famagusta is a city on the east coast of Cyprus. 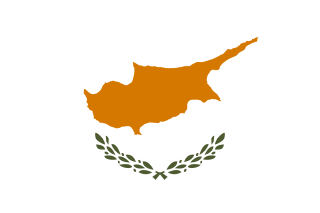 It is located east of Nicosia and possesses the deepest harbour of the island. During the medieval period, Famagusta was the island's most important port city and a gateway to trade with the ports of the Levant, from where the Silk Road merchants carried their goods to Western Europe. The old walled city and parts of the modern city presently fall within the de facto Turkish Republic of Northern Cyprus in Gazimağusa District, of which it is the capital. Guido Gonzaga was an Italian condottiero, son of Ludovico I Gonzaga capitano del popolo of Mantua and imperial vicar. Odo of Burgundy was Count of Nevers and Auxerre and the heir of Hugh IV, Duke of Burgundy. His mother was Yolande of Dreux. He died at Acre on 7 August 1266. 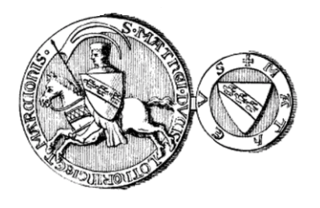 Matthias II was Duke of Lorraine from 1220 to his death. He was the son of Duke Frederick II and Agnes of Bar and succeeded his brother, Theobald I.
Frederick IV, called the Fighter, was the Duke of Lorraine from 1312 to his death. 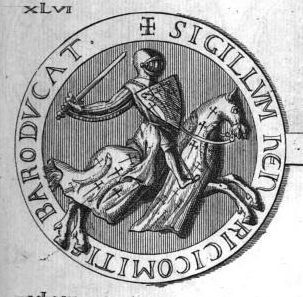 Robert III of Dreux (1185–1234), Count of Dreux and Braine, was the son of Robert II, Count of Dreux, and Yolanda de Coucy. He was given the byname Gasteblé when he destroyed a field of wheat while hunting in his youth. Robert IV of Dreux (1241–1282), Count of Dreux, Braine and Montfort-l'Amaury, was the son of John I of Dreux and Marie of Bourbon. The Ardennes-Verdun dynasty was one of the first documented medieval European noble families, centered on Verdun. The family dominated in the Duchy of Lotharingia (Lorraine) in the 10th and 11th centuries. All members descended from Count Palatine Wigeric of Lotharingia and his wife Cunigunda of France, a granddaughter of the West Frankish king Louis the Stammerer. The House of Ardennes was closely tied to the Counts of Verdun, Bar, and Luxembourg as well as to the House of Salm. The War of Metz or Four Lords' War was a feudal conflict which devastated the region around Metz between 1324 and 1326. At the Siege of Metz, in 1324, cannons were used, perhaps for first time in Western Europe. Theodoric I was a Count of Montbéliard, Count of Bar and lord of Mousson and Count of Verdun. He was the son of Louis, Count of Montbéliard, and Sophie, Countess of Bar and Lady of Mousson. Henry IV of Bar was count of Bar from 1336 to 1344. His aunt, Joan of Bar, Countess of Surrey, governed Bar in his name during his minority. He was the son of Edward I of Bar and his wife Marie of Burgundy. He married Yolande of Dampierre, a granddaughter of Robert III, Count of Flanders. Edward II of Bar was Henry IV of Bar's eldest son and successor as count of Bar. He had no male issue and was succeeded as count by his younger brother Robert I of Bar. Guy I of Luxembourg-Ligny was Count of Saint-Pol (1360–1371) and Count of Ligny, Lord of Roussy and Beauvoir (1364–1371). Theobald of Bar, Seigneur of Pierrepont. He was one of six children born to Erard of Bar, Seigneur de Pierrepont et d'Ancerville, and Isabelle of Lorraine. Erard of Bar, was a monk by 1292 and then seigneur de Pierrepont et d'Ancerville by 1302. Erard was one of eight sons born to Theobald II, Count of Bar and his wife, Jeanne de Toucy. 1 2 Michelle Bubenicek, Quand les femmes gouvernent: droit et politique au XIVe siècle:Yolande de Flandre, Droit et politique au XIV siecle, (Ecole des Chartes, 2002), 54-55.